Looking for a pet friendly lodging in Niagara Falls? You don’t have to leave your pet behind. There are motels in Niagara Falls where you and your pet can stay and make the best of the Niagara area. For those of you who have pets, no vacation can be complete if you have to leave your pets back home. Whether you are traveling to a far away foreign country or you have chosen a Niagara Falls getaway, all the fun of the vacation is sapped by anxiety and concern over your pet’s safety, food and loneliness, not to mention, the expenses paid for a dog-sitter or caretaker. There is, however, a simple solution to this problem. You can opt for a pet friendly lodging in Niagara Falls. Simply arrive at Niagara Falls Airport and literally leave your worries behind because your major cause for anxiety is now a cause for enjoyment and contentment. Most hotels in Niagara Falls now open their doors to pets. At the Buffalo Niagara International Airport as well as at select Niagara Falls motels, your pets are welcomed so that once you check in and get settled you can go out and enjoy your Niagara Falls vacation to the fullest and rest assured that your beloved pets are completely cared for. The charges for housing pets vary from hotel to hotel. Some are also very specific about the weight and number of pets you bring. Some hotels also house special amenities for pets like pet spas and salons, pet grooming services and dog-walkers. Most places of tourist interest at the Falls like the Niagara Falls State Park, Queen Victoria Park, Niagara River Parkway, Lake Erie shoreline will allow pets to enjoy the scenic beauty with you. For instance take your dog for a run along the Niagara-on-the-lake trails or allow your cat to frolic at the Niagara Glen. Dogs need to be on a leash and cleaned up after. Unfortunately, pets are not allowed into any of the Niagara attractions such as boat rides, but you will still be able to enjoy great views of Niagara Falls along the paths and walkways. By following a few simple rules and hotel specific regulations, guests can ensure a happy stay at the various hotels or motels in and Niagara Falls. Most pet friendly lodging ask guests to follow certain rules. More guests travel with dogs than any other pet and many hotels insist on keeping the dog on a short leash always. You bring only domesticated pets. Some hotels ask that pets be kept in kennels if they are to be left alone in the room even for a short interval. Most hotels ask guests not to leave pets in the room during housekeeping hours and ensure that the pets do not cause any disturbance to the other guests. Almost all hotels insist that male cats must be neutered. All pets are expected to be properly trained and well behaved. Ultimately, the responsibility of caring for the pet falls on the owner himself, but pet friendly lodgings take all steps to ensure that their stay is comfortable. Before you travel to Canada, it is important that you understand and read about “Breed specific legislation” and it’s importance about traveling dogs. 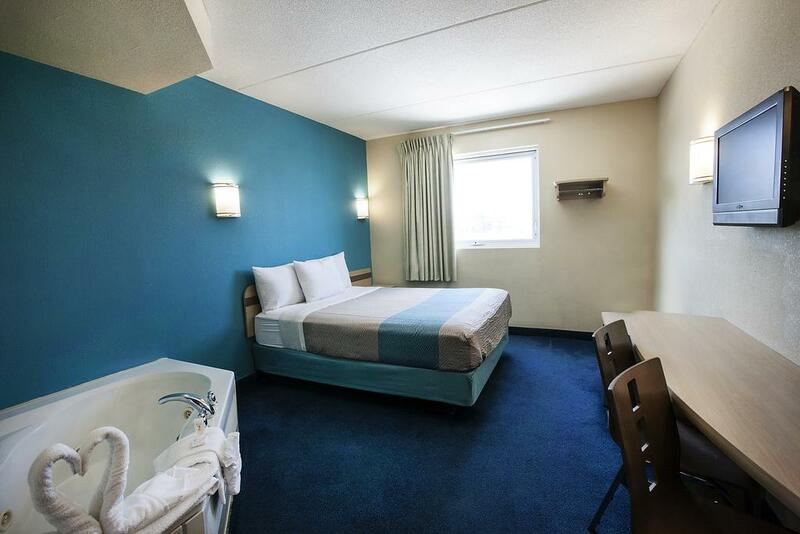 Some Niagara Falls Canada motels have more strict guidelines than the rest. So if you plan to take a pet with you, call a pet friendly lodging before you leave for additional information. 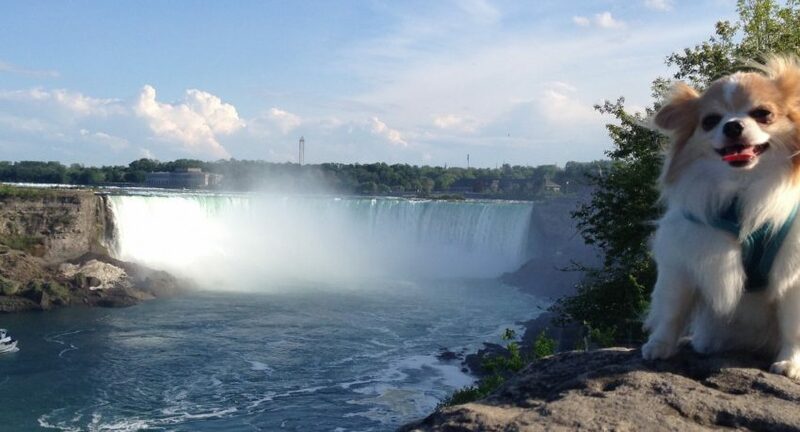 Niagara Falls is a wonderful vacation destination and if you have a pet that you do not wont to leave behind, the area is well able to accommodate your needs.